Apple and Qualcomm have been indulging in a high-stakes legal battle over patent licensing since January 2017. Yesterday, the two firms announced they would drop all litigation, and signed a six-year license agreement with two-year option to extend, and a multi-year chipset supply agreement. 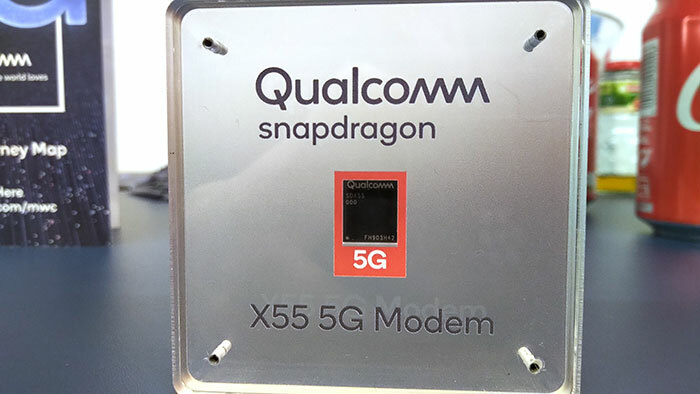 Shortly after the Apple / Qualcomm cooperation announcement, Intel stated via official press release that it would cease the 5G smartphone modem development. The corporate and legal manoeuvring outlined above will have millions if not billions of dollars of impact on the business prospects of the respective parties involved. 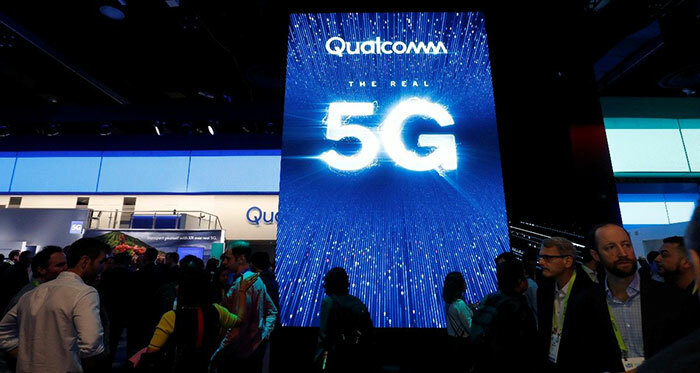 While the development was most obviously positive for Qualcomm, and its shares climbed nearly 25 per cent on the news as evidence of this, Apple will be satisfied with the certainty that it can get on the 5G train with a proven 5G smartphone solution. Intel tried to put a positive spin on the newsquake by saying that it would continue with its 5G developments in PCs, IoT and other devices. 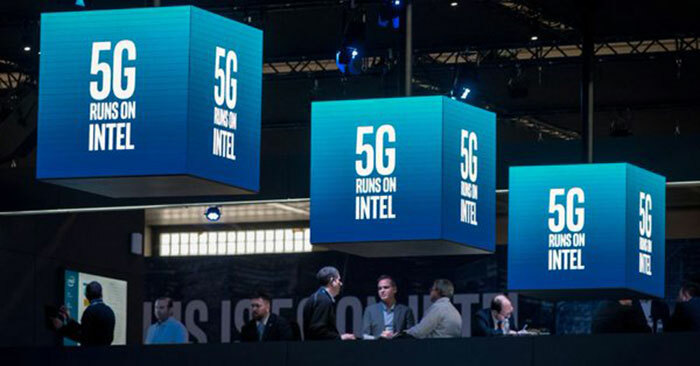 Intel CEO Bob Swan even went on the record to say "we are very excited about the opportunity in 5G," before adding that it hadn't seen a clear path to profitability in the smartphone 5G modem business. As part of its analysis of the news, the FT reports that the legal ceasefire between Apple and Qualcomm arrived in the wake of rumours that Intel had experienced delays and would not meet Apple's 2020 required deadline, "although until Tuesday it had said its plans were on track," added the report. The FT also quoted Ben Wood, analyst at CCS Insight, who explained that "The multiyear deal is a huge vindication for Qualcomm and likely an acknowledgment by Apple that it had run out of options, particularly when it comes to 5G". With the agreement in place, Apple and Qualcomm can more or less now get on with 'business as usual' for the next six to eight years. The large dark cloud of a US $30bn licensing dispute instigated by Apple and manufacturing partners against Qualcomm, which went to trial on Monday, can now be dropped due to the peace deal. Signs weren't good for Apple anyway, as Qualcomm had already won patent infringement cases against Apple in Germany and China. The big question though, did Intel actually have any 5G silicon running? Nice to see Qualcomm taken down a notch, they are a market dominator but surprising that Intel has all but pulled out of the race, likely because of no easy in to the market and the issues around their own products versus Qualcomm anyway. Certainly nothing they could fit in a saleable, usable package. I expect they did have something running but miniaturising / packaging it seemed to be the issue. I never saw anything from them on this that wasn't a render, photoshopped or just a lump of plastic with 5G on the front. As for Qualcomm being taken down a notch, I'm confused. I read the article as this being a win for them and their shares rocketed. Am I missing something? Qualcomm are market dominators in the mobile connectivity space and because of this they charge through the nose for their product. A lot of companies have taken offense to this and in a few regions qualcomm has been poked with anti trust and anti competitive lawsuits. Now although they didn't allow it to go to ruling, Apple have forced Qualcomm to roll over because they won't take their crap anymore. It was generally obvious Apple had a very strong case and if the lawsuit ruled in Apples favour it opens a massive can of worms for all the other companies they bleed with their chips to open similar cases due to legal precedent. So Qualcomm struck a deal with Apple to give them what they want to get that damocles sword away from their head. Their stocks would have gone up regardless of whether there was settlement, drop or rule in favour of QC. It means there would have been no ambiguity about the status of Qualcomm so therefore market opinion would have been stronger. Qualcomm did lose stock value at several points through the case iirc because of jumpy stockbrokers. On the contrary Apple blinked and Qualcomm won. Intel could not deliver on 5G and wanted out, Apple has almost no other options and cannot build a 5G radio of it's own as Qualcomm has a mountain of patents that would make it extremely difficult. None of that makes any sense. You're saying that Apple didn't like Qualcomm's dominance, so they went to a convicted monopolist to make things better? Then Qualcomm were backed into a corner and had no choice but to accept a large payment and the licence terms they asked for all along from Apple to make it stop?